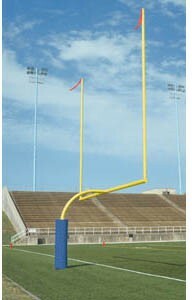 Top uprights are 20' high, 2-3/8'' dia. 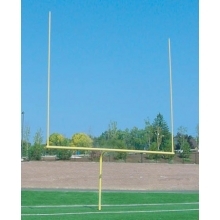 alum. 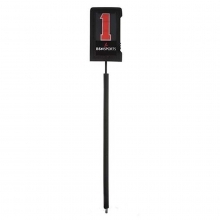 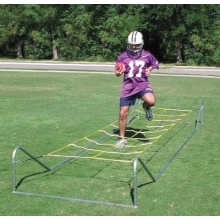 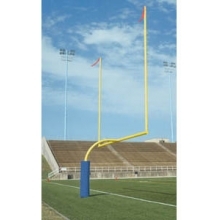 These high school football goal posts from Bison are the heaviest duty goal posts on the market. 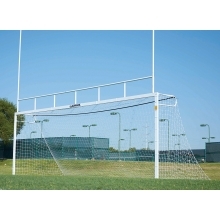 The Pro-style design features a full 6' set back for maximum clearance and safety. 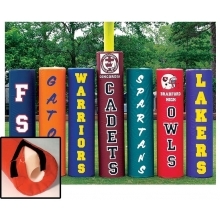 The heavy duty schedule 40 pipe has a powder coated paint finish that looks great for years! 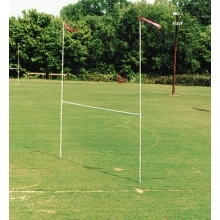 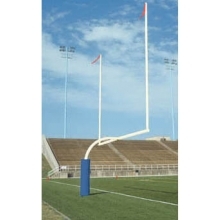 These high school goal posts also have Bison's exclusive PerfectGoal design for precise vertical and horizontal alignment and uncommon ease of installation. 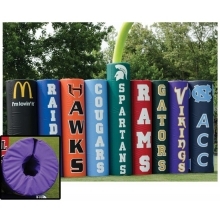 This high school football stadium goal post will give your facility a Pro look! 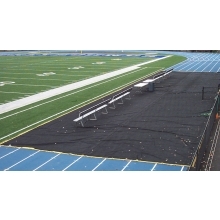 See ground sleeves below for a semi-permanent installation.